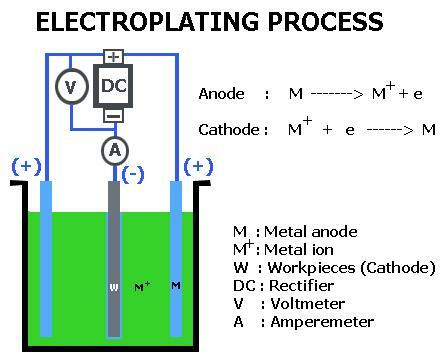 Electroplating is the process of coating a metal object with a thin layer of another metal by means of electrolysis. The electroplated coating is usually no more than .002 inch (.05 mm) thick. 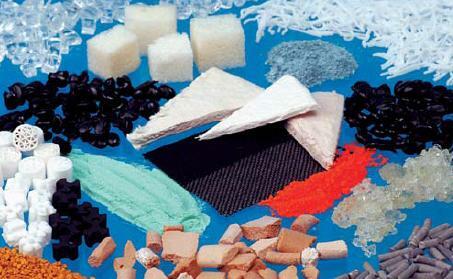 Electro-forming is a similar process except that the thin layer is applied to a nonmetal that is later destroyed. 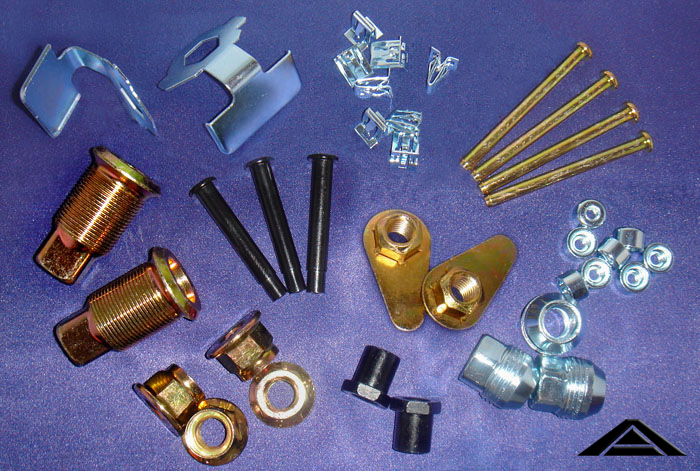 Electroplating is used to give metal objects a better appearance or to protect them from corrosion, wear, or rust. Tableware, trays, decorative pieces, and jewelry are plated with gold or silver to make them more attractive. Copper is coated with chromium to protect it from corrosion. For the same reason iron and steel are plated with nickel, chromium, tin, zinc, or cadmium. Tin cans, for example, are tin-plated steel, and the chrome trim on automobiles is chromium-plated steel. Platinum, palladium, and rhodium are used to coat other metals with a hard, corrosion-resistant surface. 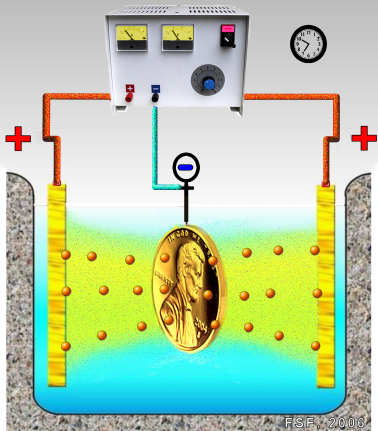 Figure above is a schematic presentation of an electrolytic cell for electroplating a metal “M” from an aqueous (water) solution of metal salt “MA”. Electroplating is often also called “electrodeposition”, and the two terms are used interchangeably. As a matter of fact, “electroplating” can be considered to occur by the process of electrodeposition. Electrodeposition is the process of producing a coating, usually metallic, on a surface by the action of electric current. 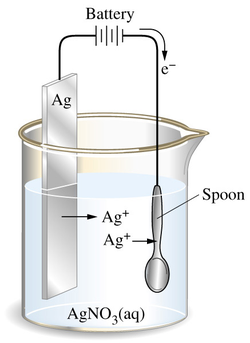 The deposition of a metallic coating onto an object is achieved by putting a negative charge on the object to be coated and immersing it into a solution which contains a salt of the metal to be deposited (in other words, the object to be plated is made the cathode of an electrolytic cell). The metallic ions of the salt carry a positive charge and are thus attracted to the object. When they reach the negatively charged object (that is to be electroplated), it provides electrons to reduce the positively charged ions to metallic form. The process used in electroplating is called electrodeposition. It is analogous to a galvanic cell acting in reverse. The part to be plated is the cathode of the circuit. In one technique, the anode is made of the metal to be plated on the part. 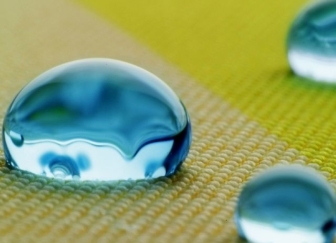 Both components are immersed in a solution called an electrolyte containing one or more dissolved metal salts as well as other ions that permit the flow of electricity. A power supply supplies a direct current to the anode, oxidizing the metal atoms that comprise it and allowing them to dissolve in the solution. 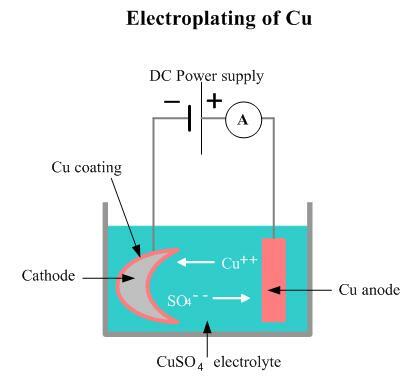 At the cathode, the dissolved metal ions in the electrolyte solution are reduced at the interface between the solution and the cathode, such that they “plate out” onto the cathode. The rate at which the anode is dissolved is equal to the rate at which the cathode is plated, vis-a-vis the current flowing through the circuit. 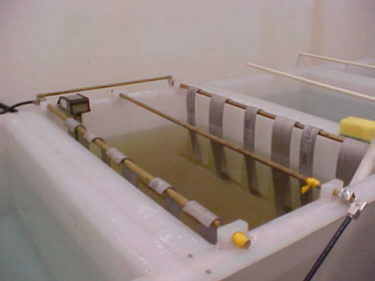 In this manner, the ions in the electrolyte bath are continuously replenished by the anode.Other electroplating processes may use a non-consumable anode such as lead. In these techniques, ions of the metal to be plated must be periodically replenished in the bath as they are drawn out of the solution. A power supply supplies a direct current to the anode, oxidizing the metal atoms that comprise it and allowing them to dissolve in the solution. First, a container is filled with a solution of a salt of the metal that is to form the coating. For example, if copper is to form the coating, the solution will consist of copper sulfate (a salt of copper) mixed with water. This solution is called the electrolytic bath. The object to be plated is immersed in the bath. A metal bar, composed either of the metal that is to form the coating or of a metal that is not affected by the electrolytic bath, is also immersed in the bath. The entire apparatus is called an electrolytic cell. The object to be coated is connected to the negative terminal of an electric battery or other source of direct current, and becomes the cathode (the electrode through which negative charge enters an electrical device). 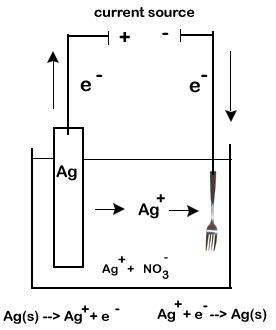 The metal bar is connected to the positive terminal of the electric power source and becomes the anode (the electrode through which negative charge leaves). When electric power is applied, electrolysis of the electrolytic bath occurs. The bath gives up its metal content to the surface of the cathode. 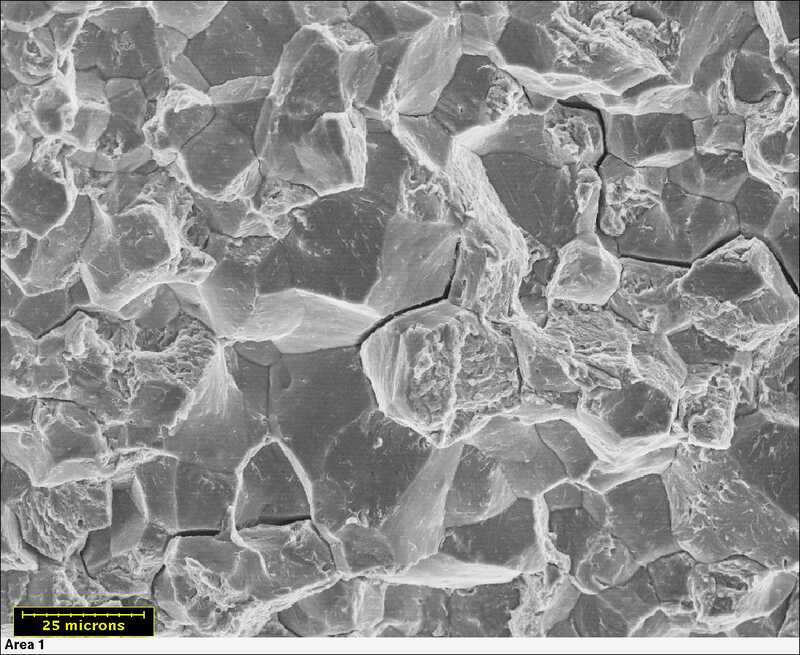 This coating forms an alloy with the metal of the cathode, and adheres to the cathode after the cathode has been removed from the bath. As the electroplating process continues, the metal salts in the bath are used up. If the anode is a bar of the coating metal, the bar dissolves in the bath at the same rate that the bath gives up its metal to the cathode. 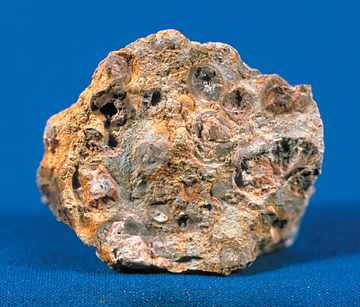 If the anode is made of another metal, salts of the coating metal must be added to the bath as metal becomes deposited on the cathode. The longer the process continues, the greater the thickness of the coating on the cathode. If the cathode and the metal with which it is to be coated will not combine into an alloy, the cathode is first plated with a metal that will form an alloy with it. The plated cathode is then plated with the desired metal. For example, steel to be silver-plated is first plated with copper, because steel and silver will not form an alloy.